A great gizmo for a lovely day whilst camping or in the garden. Made out of stainless steel and made in the UK ,we’ve used this in a variety of ways. A wine holder that’s not just for wine. 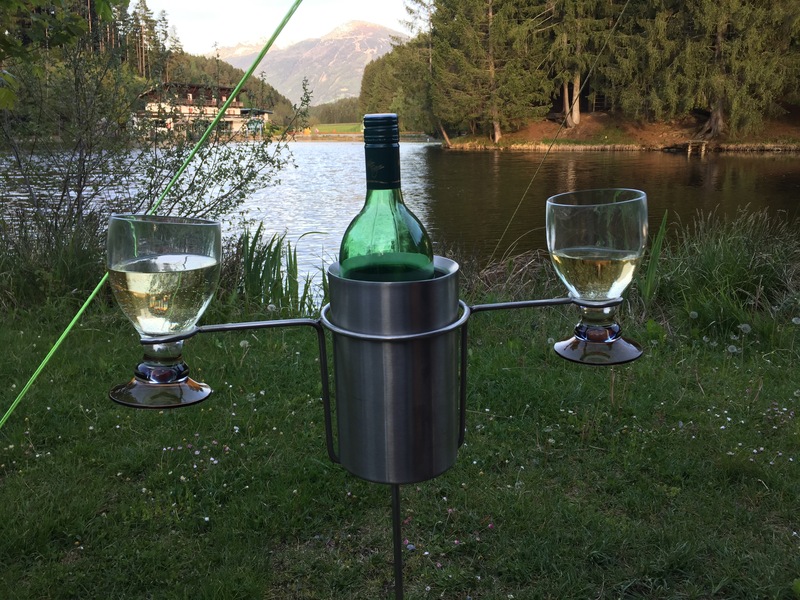 A double wine glass holder and cooler is perfect for lazy summer days and BBQ’s. 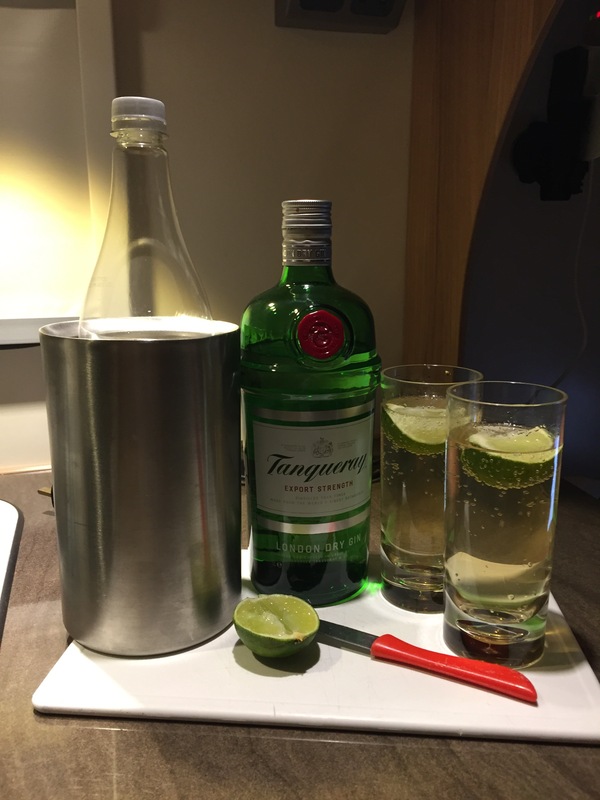 Over the winter months we’ve used the cooler in the caravan to keep our ginger beer cool for our gin when our fridge was fully stocked. The stainless steel cooler sits neatly in the centre of the stand, with the stand being surprisingly stable when pushed into the grass and fully ladened. 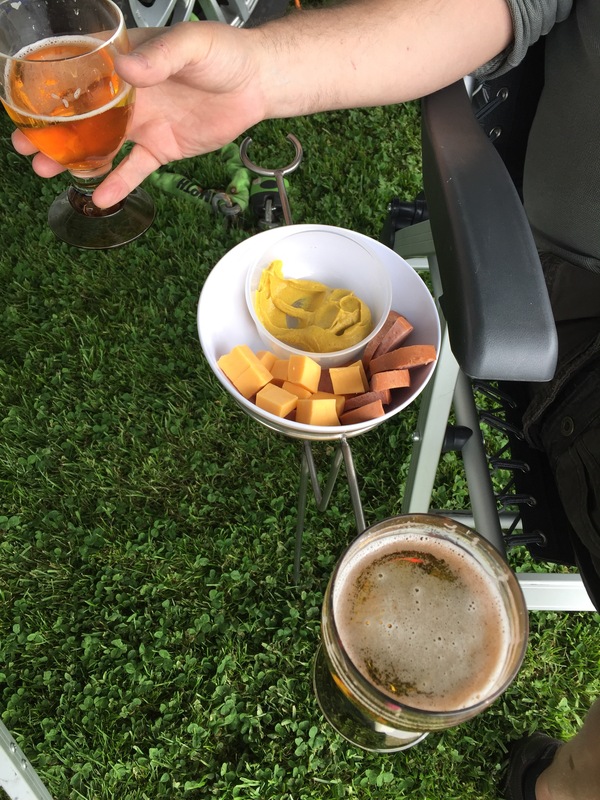 We’ve taken the stand outside the caravan for a cheeky afternoon beer and some nibbles in Germany and used the cooler frame as a snack holder. A versatile holder that is quite tactile and very smooth to touch. A great addition to any garden, festival, proms in the park or holiday. Not too heavy to carry around and easily pushed into soft ground. This is the perfect addition to accompany a glass of wine or something a little more sophisticated and has the benefit of keeping the bottle cool. As a frequent wine spiller in the garden and whilst sitting outside in the sun at the caravan, this is the answer to my prayers. No more spills, no more wasted wine and can be placed at a perfect height for my chair. What could be more perfect than a glass of wine at the side of a lake in Austria.